After months of strained relations capped by proposals for some dramatic changes to aid group dynamics, the first State Board of Education meeting of the new year was…well, calm. 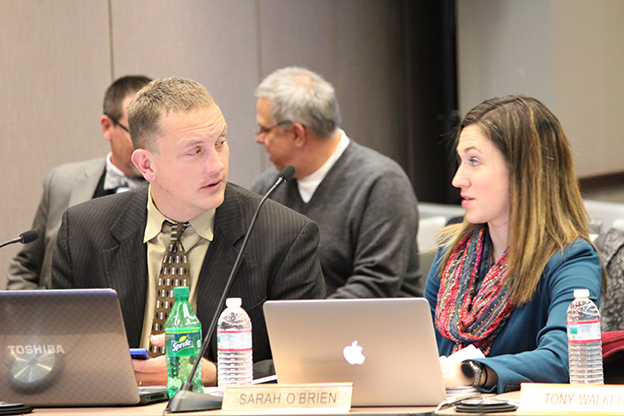 The group met Wednesday to go over an agenda packed with discussions of school grades, school turnarounds, along with other big-ticket items – and for the first time in what seems like forever, board members tended to interact cordially with one another. 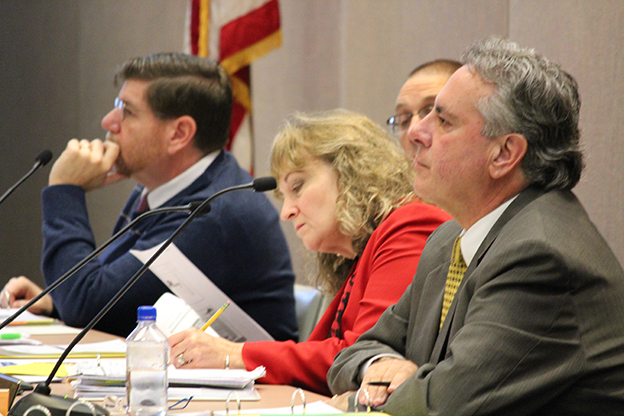 Particularly in the last few months of 2014, state superintendent Glenda Ritz got tangled in less-than-friendly exchanges with various board members, more often than not regarding issues of board procedure and authority. It all culminated in a decision by Governor Mike Pence to disband his education agency, the Center for Education and Career Innovation, which Ritz has frequently called a “shadow” of her own Department of Education. Wednesday’s meeting was the second-to-last at which CECI staff members would participate. The group officially dissolves February 20. State assessments. 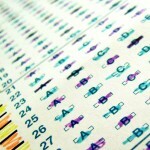 The board has yet to select a vendor to create the 2016 version of the new ISTEP+ test. Ritz told board members the IDOE is working on the request for proposal. Teacher evaluations. According to data from the Indiana Department of Education, less than 0.5 percent of educators received “ineffective” ratings during the 2013-14 school year – about the same percentage as last year. Close to 89 percent of teachers, principals and superintendents ranked in the top two categories – “effective” and “highly effective.” Ritz told press she thinks those numbers are valid, despite how positive they seem. The discussion even engaged some of the board’s quieter members. “Virtual option” for snow days. 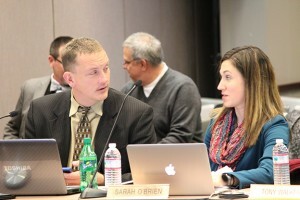 Last month, the board debated whether schools should be allowed to hold “eLearning Days” in place of traditional snow make-up days, ultimately deciding to seek legislative guidance on the option. The board is still waiting to hear back from the General Assembly, which began the 2015 legislative session Tuesday.